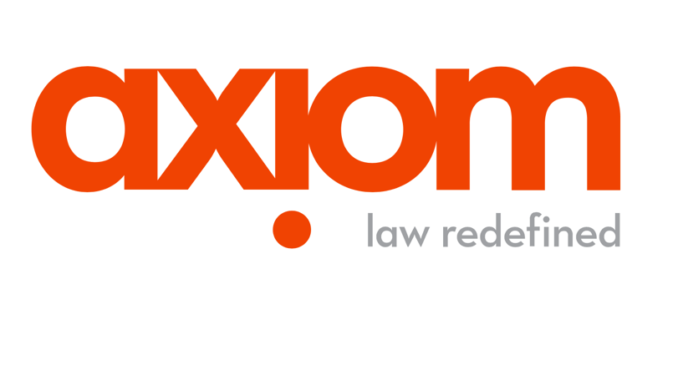 Alternative legal services provider, Axiom, has today announced the launch of ‘AxiomAI‘, a programme that leverages AI to improve the efficiency and quality of its contracts work. As part of AxiomAI, Axiom will accelerate the use of current generation AI to help extract information from contracts in order to streamline contract analysis. At the same time, Axiom will continue its research and development efforts to shape next generation AI applications for more unique and transformative use cases. Over the last four years, Axiom has collaborated with, and conducted numerous tests, of the leading AI contract data extraction providers and has leveraged this experience with a number of client engagements. Most recently, Axiom became a Kira Certified Service Provider, (see story in Artificial Lawyer) ensuring expertise in the deployment and use of their machine learning contract analysis solution. Axiom will initially embed Kira into its M&A Diligence and Integration offering to source relevant clauses from those contracts, thus enabling more efficient interpretation and structuring of contract data, which underlies the insights Axiom provides to its clients’ legal and business users. ‘It takes a high volume of data and a uniqueness of attributes to help the algorithms learn. Axiom is in a unique position to lead, extracting millions of pieces of contract data a year. AI is an important part of the future of legal. AxiomAI is dedicated to accelerating that future – and the art of the possible – for the benefit of our clients,’ Donio added. As part of Axiom’s R&D efforts, the firm will be shaping how state-of-the-art techniques in machine learning can be applied to contracting work. The goal is to move from finding clauses to interpreting clauses, which promises to dramatically improve the speed of contract analysis, enable more powerful insights, and ultimately deliver the capability of creating new bodies of contracts faster, and with a higher quality. Axiom’s solutions combine legal experience, technology and data analytics. The firm comprises 2,000-plus lawyers, professionals, process engineers and technologists.